Home › Advice › Should you stop your engine while waiting at a red light? If you’ve got a modern car which automatically switches the engine off when you are stationary then you’ll know that this is to help you save fuel and to reduce pollution. The systems anticipate when you’ve stopped then restart the engine when it looks like you’re ready to go (usually when you remove your foot from the brake or press the clutch). But should you do this manually in an older car that doesn’t come with this feature? After all, newer cars with auto start/stop have a starter motor designed for hundreds of thousands of uses, and have other engine modifications to enable this to work smoothly, whereas your 15-year-old Mazda definitely doesn’t. The answer is not exactly clear cut, but there are definitely times when you should be turning off your engine. How much fuel does your car use when idling? To investigate the worst-case scenario, we borrowed a 6-litre Holden Commodore SS-V to test. We warmed it up on a little drive then let it settle into an idle. As you can see from the picture below, it’s using 2.1 litres per hour. This is in neutral so there’s no load on the engine, and we’re not running any auxiliary items like air conditioning, lights or the stereo which will cause loads on the engine or alternator and will increase fuel consumption. Using the air conditioning when idling almost doubles the fuel usage! Let’s assume fuel is $2 per litre for ease of mathematical calculation: that means that every hour of idling costs you $4.20 in wasted fuel in the Commodore. Rush hour journeys often comprise up to 25% sitting and waiting, so if your journey is an hour, you’ve wasted 15 minutes, or just over a dollar. Do this twice a day and you waste $2 per day. Do this every working day for 48 weeks of the year and you’ve wasted nearly $500! Do it with air conditioning or heating every time and you could almost double that! 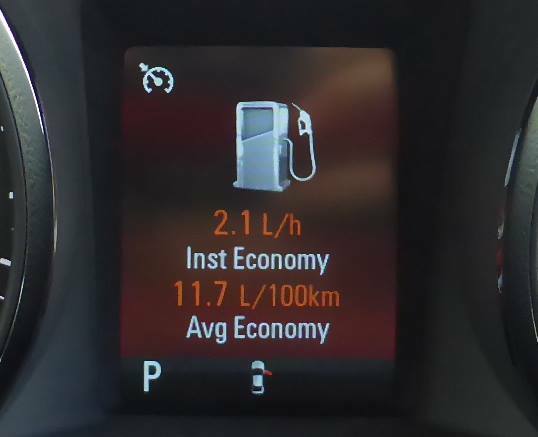 We also borrowed a Ford Focus Titanium and you can see from this photo of the instrumentation that it was registering 1.0 litres per hour at idle, which is much better than the Commodore. You probably don’t have a 6-litre V8 or a brand new Ford Focus, though. According to Argonne National Laboratory, a 2-litre car will use around 0.7 litres per hour with zero load. That’s still $1.40 for every hour you leave your car idling. Truck drivers fare worse: if you drive a medium/heavy diesel-powered truck with an engine of six to 10 litres then you’ll be using 2 litres per hour, and those costs come directly off your bottom line. Toyota Prius 2015: 0l/hr (it switched to electric mode). When can you turn your car off? Of course, if it’s freezing cold you might want to keep the car running so you can use the heater, or if it’s hot you might need the air conditioning, but New Zealand doesn’t have those extremes the whole year. It should be feasible to save at least a couple of hundred dollars a year and if your car is relatively new the wear and tear will be negligible. The main advantage is that if everyone did this who could, we would prevent a lot of smog and pollution from entering the atmosphere. Why wouldn’t you turn your car off? Older cars without electronic fuel injection won’t be efficient being turned on and off, and probably won’t respond well to it. Don’t turn your car off if it could put you in a dangerous situation. Don’t turn your car off it’s a bit unreliable when starting, or if your battery is weak. 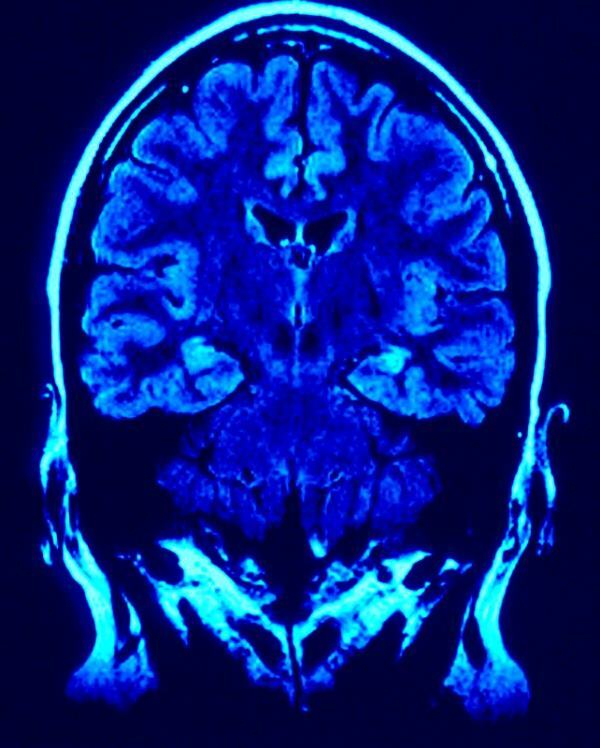 ‹ Can you drive with epilepsy?